Although housed in the former Gold Medal Flour mill, the Mill City Museum interprets the broader story of flour milling in Minneapolis. 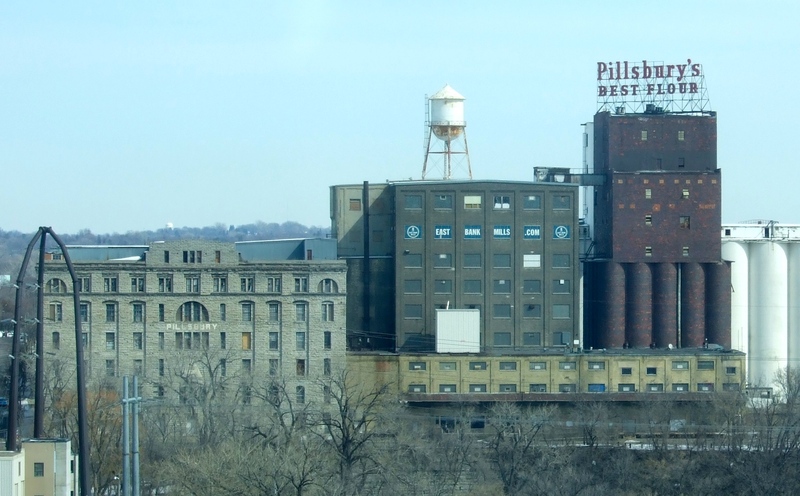 The old Pillsbury Flour mill sits right across the river. View from the observation tower at the Mill City Museum. And you can’t talk about Pillsbury history without mentioning the famous Bake-Off (R). In 1949, Pillsbury celebrated its 80th birthday by sponsoring a “Grand National Recipe and Baking Contest.” Thousands of home bakers sent entries. 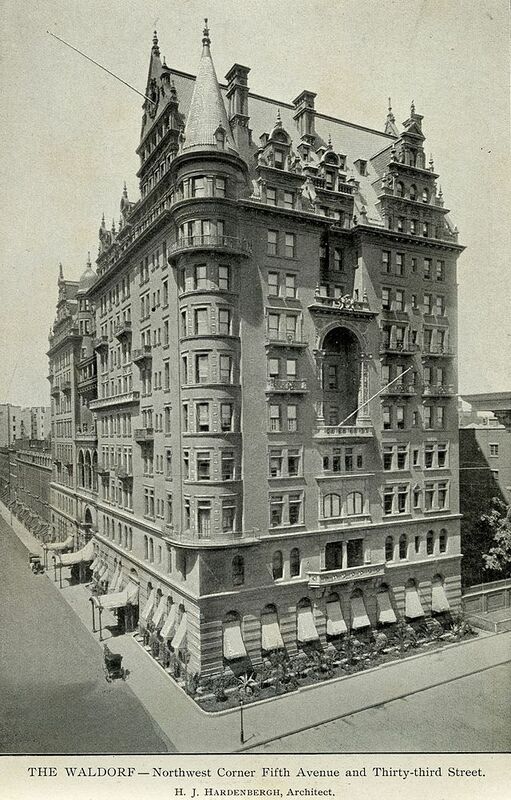 The one hundred lucky finalists were invited to bake their original creations at the Waldorf-Astoria Hotel. Eleanor Roosevelt was the honored guest. Can you imagine how exciting (and nerve-racking) the experience must have been for women (and a few men) who’d never received any acknowledgment for their skill? The Grand Prize when to Theodora Smafield for her No-Knead Water-Rising Twists. The response was so great that company executives decided to make the contest an ongoing event. The media called it a “bake-off,” and the company adopted and trademarked the name. In the early years, the only required ingredient was Pillsbury’s BEST Flour. Scratch cakes dominated the entries for a decade or so. Other favorites included muffins, pies, and cookies. As the years went by, the contest reflected social changes. 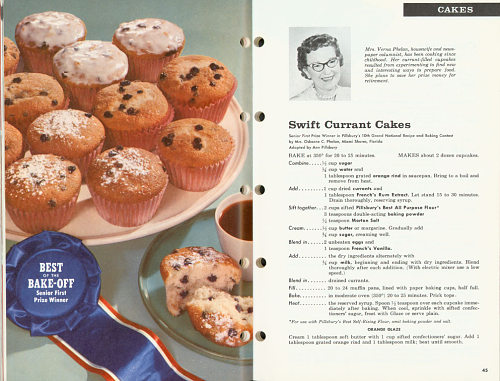 In 1969, as more and more women juggled family life with careers, a recipe using convenient refrigerated dough won the grand prize for the first time. 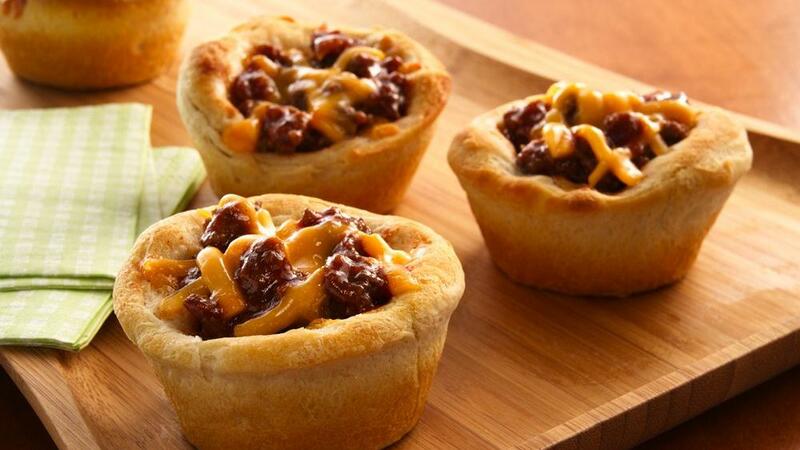 Later themes included Regional American Foods, Family Favorites, and Ethnic Recipes. Mill City Museum Bake-off Exhibit. 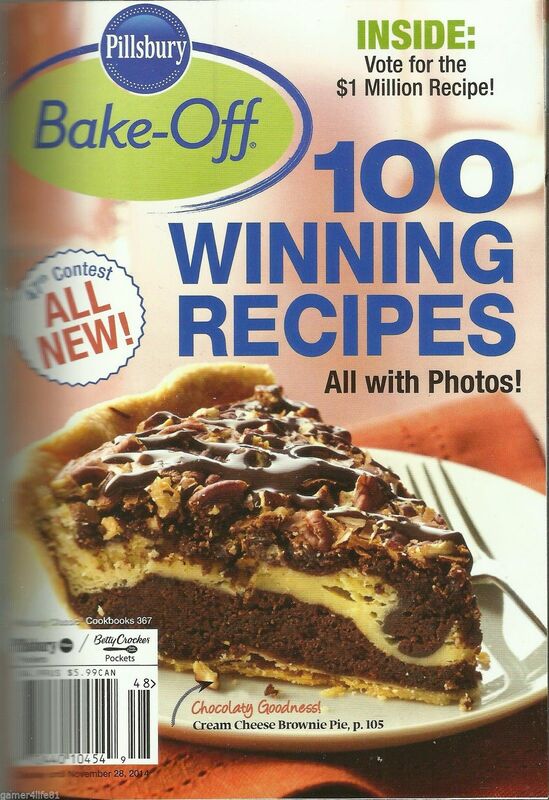 In 1996, the contest began celebrating “quick and easy” dishes. That year also saw the first male winner claim the Grand Prize. In 2014, for the first time, judges narrowed the field to four finalists and invited the public to vote for their favorite. A few of the recipes that missed Grand Prize status went on to become part of American food culture. Freda Smith invented Peanut Butter Blossoms in 1957, when she realized she had no chocolate chips in her cupboard and decided to improvise. She baked her cookies and placed a Hersheys Kiss in the center of each hot cookie when it came out of the oven. Her family proclaimed the invention a hit, and ultimately Hersheys promoted the recipe. Probably the most famous Bake-Off recipe is the Tunnel of Fudge Cake, Ella Rita Helfrich’s second-place winner of 1966. (I found that so intriguing that I included it in Tradition of Deceit. I knew Chloe would love it.) More on that one later. 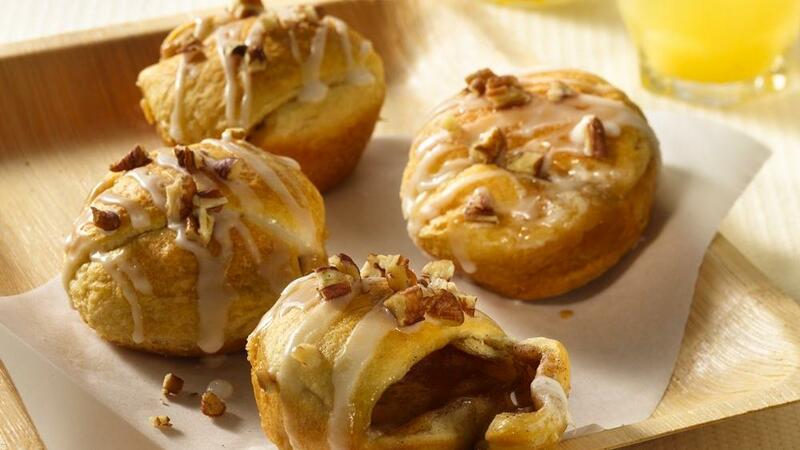 For more Bake-Off history, check out the photos, video, and recipes on the Pillsbury site. You can also spend some happy hours with one of the many Bake-Off cookbooks. Want to learn more? At 2 PM on March 29, 2015, the Mill City Museum is featuring “Pillsbury Bake-Off Through the Years.” See how history is revealed in a demonstration of Chocolate Cherry Bars, a Bake-Off winning recipe from 1974. 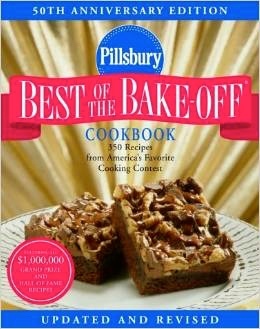 Learn about the 60-year history of the Pillsbury Bake-Off, sample treats, get baking tips and take home a copy of the recipe. 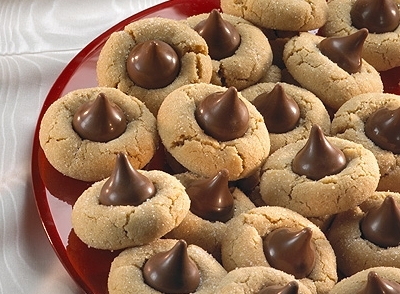 I grew up eating Peanut Butter Blossoms, and only recently discovered the recipe’s origin. 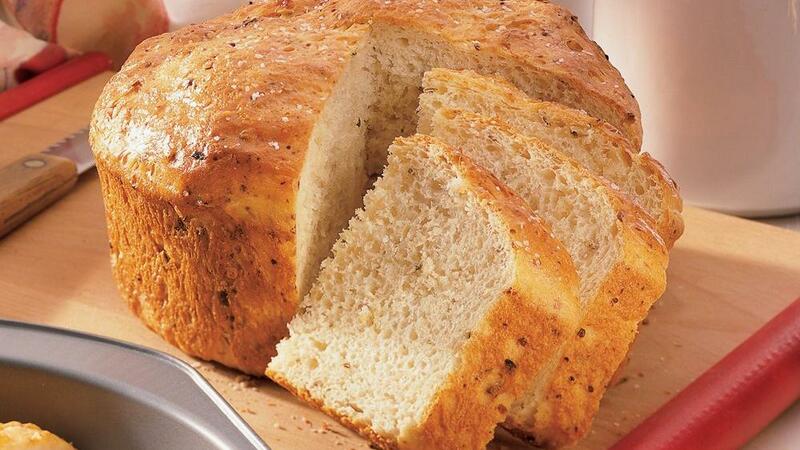 Are there any Bake-Off favorites at your house?